I remember my college days like they were yesterday! Weights in the mornings, workouts in the evenings. Seems like just about everybody on the team had a six pack or close to it. However, the six pack is not a sign of core strength, just an indicator of low body fat. It is essential that you continually aim to improve your core strength! I can not stress this enough. Your core in addition to your hip flexors are the two things that will carry you through when form starts to break down and fatigue sets in. I'm not going to sit here and tell you to do a certain group of certain exercises because their are so so many different ab exercises that you can do. Variety is the spice of life so use multiple assortments of exercises but make sure you try to hit the obliques, upper, and lower abs and don't just do 200 crunches and feel like you did something special! I would break up my days into high rep vs low rep days however. So on your days where you are sprinting and severely hitting your Central Nervous System - I would recommend lower volume. On days where you are doing more tempo work/form running then I would go ahead and really hammer those abs hard. 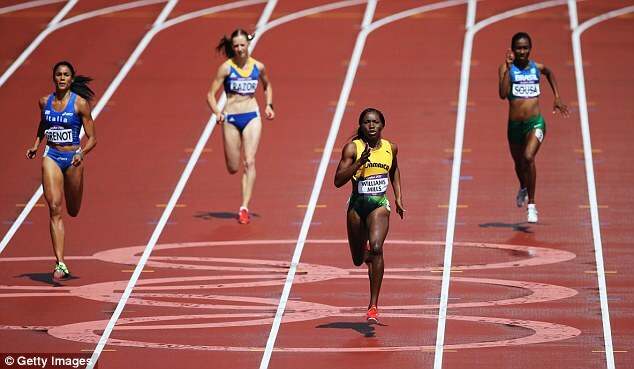 Stronger Abs + Stronger hip flexors = faster sprinting! I am not going to write on this topic at this time but instead point you to an article I thought was interesting on the potential over consumption of protein in the American diet. Here is the article posted in Natural news about the excessive use of protein powder. Give it a read, it's worth your time. The excessive use of protein powders! So my wife comes into the house with these chips that are supposed to be healthy. I look at the bag and the title says "Beanitos, The original Bean chip." I think to myself, a bean chip? Interesting but hell, I'm a gamer so I'll give it a try. The flavor she brought home was Chiptole BBQ and I love any BBQ flavored chip. I took a bite and I was hooked!!! TASTY was the first word that came to my mind. Needless to say, that bag didn't last long as I quickly devoured it. Luckily, Whole Foods had a sale that week so my wife bought a couple different flavors : Nacho Cheese, Restaurant Style, and Original Black bean were some of the others. And even though, the Chiptole BBQ was my favorite all of them were good. So why is this chip better than others? Well, first off, these chips are certified Gluten free! They contain NO preservatives! They are certified Kosher if you are into that sort of thing! 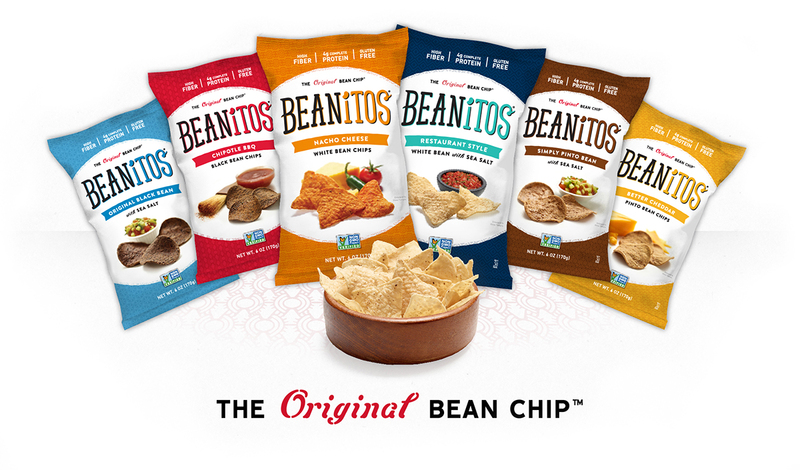 Beanitos are not made with artificial colors, or trans fats! And one of my favorite bonuses is that Beanitos are not made with MSG!!! They are non-GMO, cholesterol free, and low on the glycemic index. They do however contain high amounts of Fiber! This is great for maintaining your weight, promoting digestion and a whole lot of other added benefits! Additionally, they provide a great source of protein being composed of either black or white beans! Sorry for all of the exclamation points but that's how excited I am about these chips. They are almost a guilt free snack. Do your self a favor and give them a try! 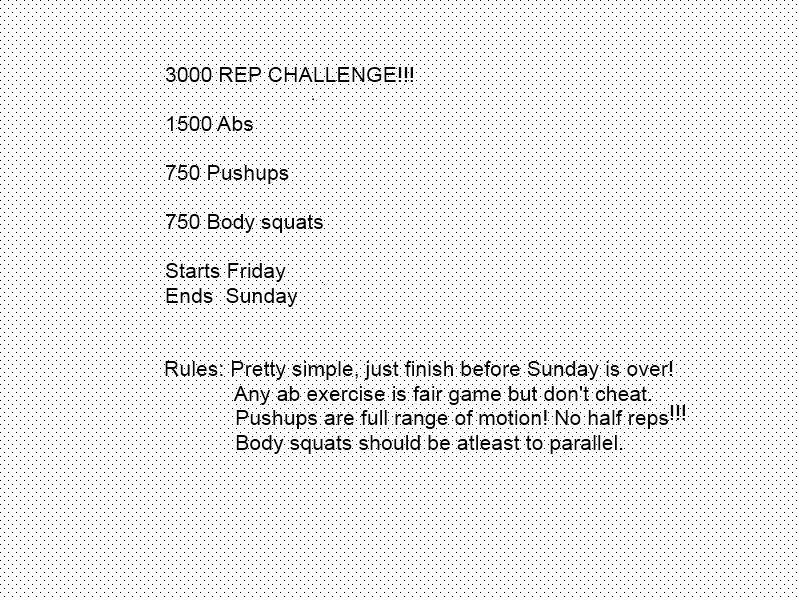 Join us in the 3000 rep body weight challenge. Starts today!!! Neotame! Worst than Aspartame but approved for your organic food and drinks by USDA!!! with their $$$, they can legalize anything they want no matter how poisonous or dangerous it maybe. Neotame is the next threat to our survival that has been legalized by the USDA. Neotame was developed by Nutrasweet, which is a former asset of Monsanto.The Neotame website www.neotame.com boasts that this formula is the result of over 20 years of research and development. Aspartame has been heavily criticized as being a neurotoxin/excitotoxin and for causing tumors in lab rats. Sadly it is now being included in just about every food and drink source from diet drinks, to chewing gum. If that wasn't bad enough, this new and improved sweetener is said to be 3,000 times sweeter than sugar and 30 times sweetener than Aspartame! Presently, Neotame is not available directly to the public but it is being marketed to the private sector as a way to cut costs on their food production. Interestingly, Neotame is not even being required to be labelled on products! According to www.farmwars.info, Neotame can be added to USDA certified organic foods, Certified Kosher products with the official letter k inside the circle on labels and any other non organic food on the market!!! We must remain vigilante about what we put into our systems and allow on the grocery store shelves. The only weapon we have in this fight is our money and our voice. 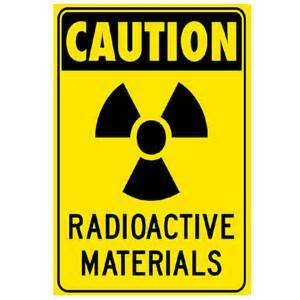 As I often state, you are what you eat so make sure you are not ingesting this toxic waste. Cancers and other illnesses are on the rise because of these additives, it is not a mystery. The end game of the Elite is population control and this is just another attempt to keep us sick and disease ridden. Cancer has undeniably gone wild! Everyone you talk to has either experienced the loss of a loved on from Cancer or may be actually dealing with Cancer themselves. This is something that infuriates me and I have taken it on as part of my life's purpose to spread as much information as possible on this topic. **Disclaimer** I am not a medical doctor, rather someone who studies up on the subject and researched those who have been successful fighting Cancer and the methods they have employed. 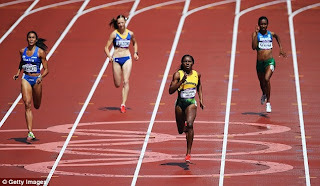 breast cancer leading up to the 2012 London Olympics! Thus, working out is part of the puzzle but obviously not the only factor in preventing cancer. to keep rebuilding and repairing like it is programmed to do! Yes, our body is programmed to repair! Organic fruits and vegetables are the key! Stay away from the pesticides and preservatives used to keep food lasting for longer periods. If insects, and pets don't want to eat it, neither should you. Food is alive so if it doesn't die or decay then imagine what it does in your own body. We need food that contains living nutrients and the POWER of the SUN! 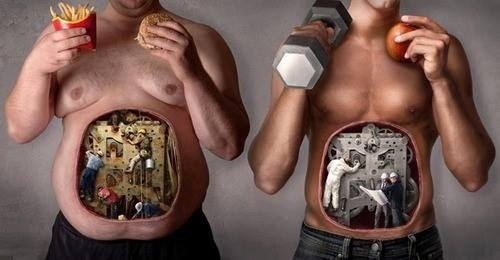 This is what keeps our bodies healthy and flourishing. In our grandparents' lifetime there was no need for "organic" because they grew their own food and knew what they were putting into their bodies. But in this day, big business only cares about profit so if they can market it they will sell it. Nutrients make no difference to them because profit is the bottom line. There are countless documentaries on Netflix showing people turn their lives around whether we are talking about stage 4 cancer, diabetes, heart diseases etc..through the power of juicing, going "RAW", and/or just returning to eating a high veggie raw lifestyle. Here is a list of a few titles that I recommend watching "Fat, Sick and Nearly Dead", "Dying to have known", "Hungry for Change", "Forks over knives", these are just a few but there are many more documented cases of people taking control of their lives through taking control of their plates! If you are suffering with Cancer, have tried the Chemo, tried the Radiation and are still having challenges check out the Gerson Institute. http://gerson.org/gerpress/ , Hallelujah Acres http://www.hacres.com/ and Dr. Serbi http://drsebiproducts.com/ . These are a few resources that you owe it to yourself to check out. I won't say conventional medicine doesn't have a place in today's world but I will say that conventional medicine is a for profit industry as well so their is no real value in healing anyone but rather patching symptoms and not addressing the true issues plaguing our bodies. About an hour after I finished writing this article, I noticed this one on the cover of yahoo! http://www.huffingtonpost.com/2013/07/03/pepsi-caramel-coloring-carcinogen-4-mel_n_3540683.html . This reaffirms my position that the bottom line is $$$ and not your health. 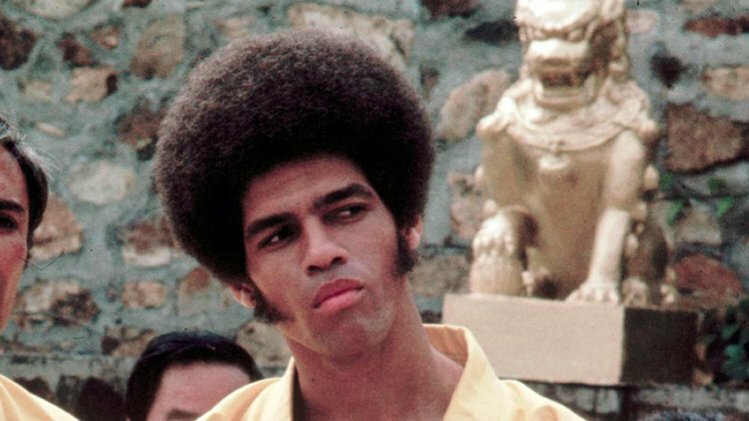 And for the record, DIET softdrink is more dangerous than regular! Abs are a muscle group that you can literally target hundreds of different ways. The variety of exercises you can do for them are almost endless. However, once you get tired of lying on the floor doing crunch and situp variations then I recommend hanging out! Yep, hanging from a pull up bar can take your ab routine to a whole 'nother level. Hanging causes you to use upper body muscles to support your body weight in addition to focusing on your core to keep you stable and keep your feet in the air. These exercises are not easy however so if you are new to working out or not sure about your core strength start slow and gradually build your way up. Here's a video of me doing hanging windshield wipers and hanging knee crunches (toes to the bar). Of the two, the hanging windshield wipers are the hardest of the two exercises. If you want to modify this exercise to make it easier you can keep your knees bent and tucked in closer to your body.